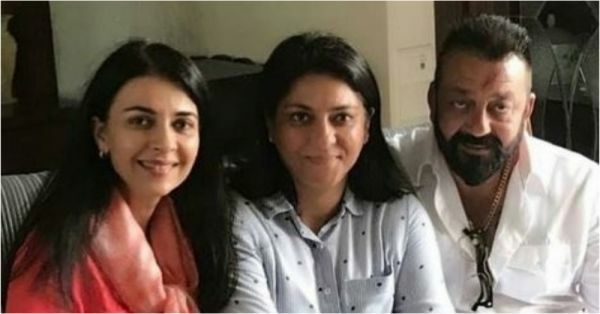 Do You Know Why Sanjay Dutt's Sister Namrata Didn't Connect With 'Sanju' At All? Read Here! Sanjay Dutt's biopic Sanju, starring Ranbir Kapoor, has been the talk of the town ever since the first teaser released. Ranbir's performance has been highly appreciated by both fellow B-town celebs and critics, but many salient incidents and events in Sanju Baba's life were missed - mostly because there was only so much you could fit into a two-hour movie. Sanju's daughter Trishala (with his first wife Richa Sharma) who hasn't been mentioned at all in the film has maintained stoic silence about what she thinks about it. Sister Namrata Dutt, however, recently spoke about the film. In an interview with a popular website, Namrata said, "Yes, I liked it but being a family member who is so closely connected, it would be difficult for me to comment on it. I underwent everything with Sanjay. 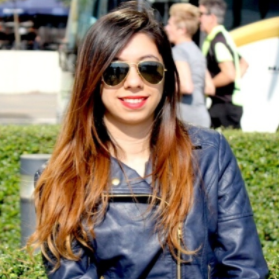 But yes, Ranbir was very good and the film is entertaining." On being asked about Paresh Rawal essaying the role of her father Sunil Dutt, she said, "I can't see anyone portraying my father. He was special. Not that I didn't like him. I didn't connect, but I'm not the audience. I'm Sunil Dutt's daughter." Namrata didn't sound too convinced with Manisha Koirala's performance either. She said, "She was okay too. Being Sunil Dutt and Nargis' daughter, it's difficult to make judgments. If the audience connected with them, it's great!" Now what we hear is that Sanju Baba's autobiography is being penned and will be launched in 2019. In an interview with IANS, he said, "I have had the fortune of living a remarkable life, full of ups and downs, joys and sorrows. There are so many interesting stories to tell that I've never had the chance to tell before. I am looking forward so much to sharing my memories and emotions with readers everywhere." Earlier this year, author Yasser Usman released a biography on the actor, titled Sanjay Dutt: The Crazy Untold Story Of Bollywood's Crazy Boy. However, Sanju Baba didn't like what was written about him and his family and put out a tweet disassociating from the book. Hoping this autobiography will throw light on aspects of his life that the film missed.